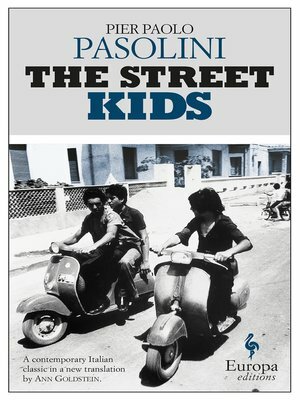 The Street Kids is arguably the most important novel by Italy's preeminent 20th century author, film director and political thinker Pier Paolo Pasolini. First published in 1955, it caused such public outrage that Pasolini was charged with obscenity. Although he was acquitted at trial, the novel was lambasted by critics and readers alike, until its undeniable force led to it being universally acknowledged as a masterpiece. Set in Rome during the post-war years, the Rome of the "borgate", outlying neighbourhoods beset by poverty and deprivation, it tells the story of a group of adolescents belonging to the urban underclass. Riccetto and his friends live day by day and hand-to-mouth, of odd jobs, petty crime and prostitution, their hunger growing as Italy begins to enjoy a period of economic growth and unprecedented change, until their needs too change beyond recognition. Rooted in the neorealist movement of the 1950s, The Street Kids is a tender, heart-rending tribute to an entire underclass in danger of being forgotten.